One bar has communal tables and encourages people to put their phones in a box. Another is made for the nerd crowd. And there are six more new spots to check out. Look who’s back? Kacy Fitch, the co-founder of the groundbreaking, craft-cocktail bar Zig Zag Café, has opened the Corner Spot, tailored more for the Ballard apartment dwellers than the cocktail geeks or bar hoppers on Northwest Market Street. 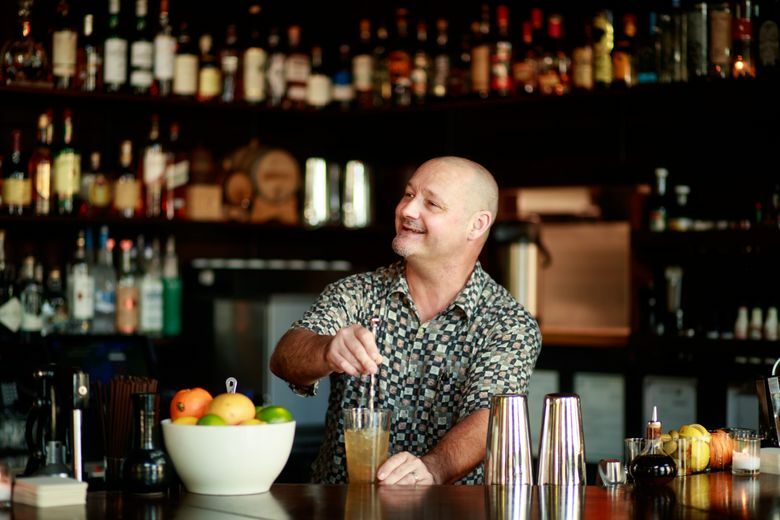 Fitch helped start the craft-cocktail renaissance in Seattle at Zig Zag Café and helped recruit legendary barman Murray Stenson to his bar; together they rode Zig Zag to fame. He has kept a low profile in the last five years, after a falling out with a business partner at Zig Zag Café (Fitch sold his stake in the bar) and after battling testicular cancer (he’s in remission). Corner Spot is hard to find with all the street detours and scaffolding. But Fitch is looking at the long game. Hundreds of apartment and condo units are being erected within a two-block radius of Corner Spot, an understated, homey 60-seat spot that’s closer to his aesthetic than the slick motifs of modern cocktail dens. This Belltown bar attempts to do what no one has managed to accomplish: “unfreeze the Seattle Freeze.” The lounge will offer communal tables and some “icebreaker” topics if you wish to partake and storage boxes to put your phone away if you choose. (Good luck with that.) There’s craft cocktails, appetizers (a charcuterie plate, fries and mac and cheese) and befitting of its mantra, shared plates. Here’s another incentive: On Tuesday, those who go phoneless get 10 percent off their bill. Scheduled to open May 19. Called a nerd bar, this Fremont spot opened on May 4 (of course, it did) with all sorts of cut outs and action figures of Darth Vader and Han Solo. When a patron strolled in dressed like Tony Stark, the smiling bartender looked pleased, playing the theme from “The Avengers” on the speakers out of respect. The latest craft-cocktail bar in Fremont comes with a spacious deck that can seat 30 and stays open til 2 a.m., every day. Cocktails are $10 — about a couple bucks cheaper than in Ballard and Capitol Hill — and piping hot Asian dumplings are served out of bamboo steamers. Instead of a full kitchen, Stampede serves vegetarian and meat dumplings (10 for $7) from popular Little Ting’s Dumplings in Greenwood. 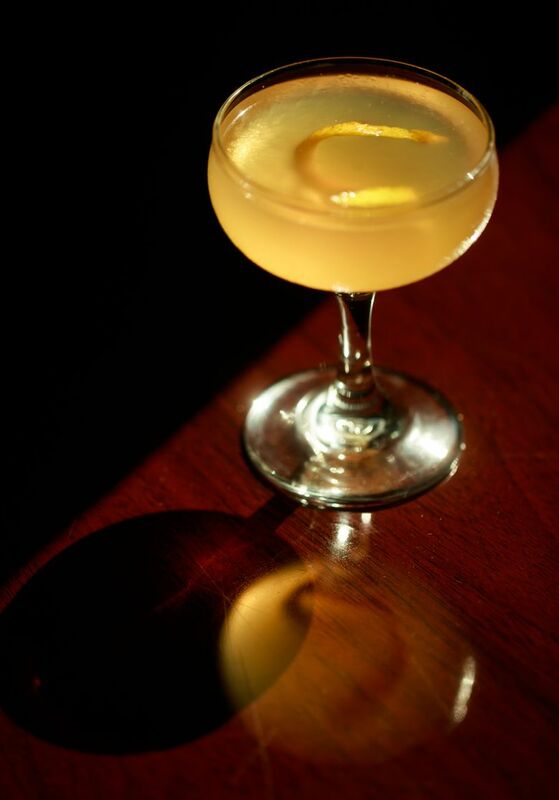 It’s a solid craft-cocktail list, simple, clean, three-ingredient drinks with grappa and génépy along with the usual bourbon and tequila libations. The latest to open in White Center, this ’70s-themed bar comes from the folks behind Drunky’s Two Shoes down the street. It’s a simple menu of Sonoran hot dogs, tacos and Tex-Mex. A new brewery has opened along the main drag of South Park. It’s a modest lineup to start, just a lager and an easy-drinking summer IPA, with pilsner and a pale ale coming soon. In the meantime, Seattle-Lite Brewing also offers beers from Lowercase Brewing, Georgetown Brewing Co. and Farmstrong Brewing Company while it’s making more beer. Its 16 taps of craft beer feature the likes of The Lost Abbey, Matchless Brewing and Avery Brewing, a stellar lineup. The bar sits along a touristy street but draws more locals than tourists. Pints are $6. There’s some respectable sandwiches and appetizers despite the modest kitchen setup. This tap room is located in the former Old Stove Brewing spot, which has since relocated to Western Avenue behind the main market. The new Irish bar opened in Juanita (not to be confused with Bottle and Bull nearby). The 10 televisions are tuned to hockey and soccer. The grub is British-centric; think bangers and mash and fish-and-chips. Located in the former Bishop’s Alehouse space.